Securely check balances, pay bills and more – whether you are standing in line at the grocery store or meeting a friend for coffee. 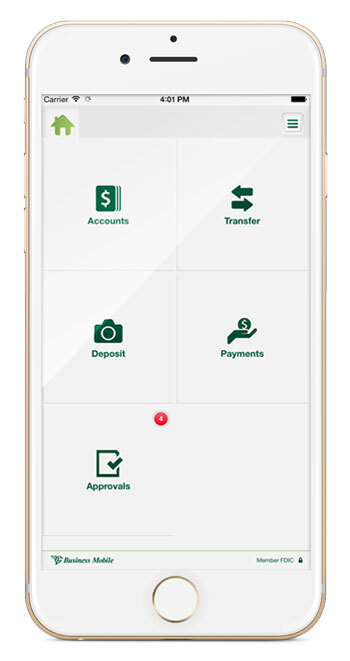 The GF Business Mobile Banking app is a powerful and secure mobile service that gives you the flexibility to approve transactions instantly from your smartphone. GF Business Mobile is available in the Apple & Android app store. Get the GF Business Mobile Banking App! Please note that in order to use GF Business Mobile, you must first enroll in GF Business Online Banking and setup your security questions. You can log into the app using the same information you use for GF Business Online Banking.